Different beaches and different surfing spots will need differing levels of ability and skills. If you pick a spot that is too easy for you, then you run the risk of hogging the waves and upsetting beginners. Equally, if you choose an area that is too difficult for yourself, then you may get in the way of other surfers. Equally, choosing a time or place that is beyond your ability does pose a safety risk, and no one should put themselves in danger. Whenever you are surfing, it is essential to show that you understand the importance of correct surfing etiquette, otherwise you are likely to annoy other surfers, annoy the locals, and ultimately have less fun yourself. While there are no definitive surfing books of 'correct'etiquette, there are a number of commonly observed unwritten rules that help everyone on the waves. Stick to these rules and have fun surfing! Just remember that communication is vital. If a wave is dual peaking, or two surfers are close together, then a simple shout of 'left' or'right' to indicate the direction you will be riding the wave in can allow everyone to share the same space without incidents. Cutting in front of other surfers, also known as 'dropping in,' is a surefire way to lose the respect of everyone else on the beach. Not only does it spoil their ride, but can potentially be dangerous and cause a collision. Even if you are the best surfer on the beach and can always get the furthest out, and thus always have the right of way, you will quickly annoy everyone else by riding all the waves without letting them have the opportunity to do so too. Take a break, let other people enjoy surfing, and maybe even offer some assistance to those beginners who are struggling a little bit. Remember that you were once a beginner too! If you do make a mistake, drop in on someone, or fail to observe their right of way, then it's important to apologise. Basic manners cost nothing and saying sorry goes a long way to ease any tension and heal the atmosphere. It also shows that you know the rules, know you have made a mistake, and respect everyone else enough to admit it. If you are visiting a new surfing area, then make sure you respect those who surf there on a regular basis. Don't swarm surf spots in large numbers, and take the time to get to know the locals if the opportunity arises – you never know, they may have some great surfing tips for you! It is also important to remember that the beach and waves aren't just for surfers and that many people from all different ages are going to be there trying to enjoy the sun, sea, and sand too. If there are large families on the beach or young children, then one of the best ways to show respect is not to cause them any problems. Don't take their space, don't shout or swear, and ensure that you are careful when transporting your surfboard and surfing accessories. Also, it is common courtesy to take any rubbish or mess that you make with you. Many beaches have bins, and it only takes 30 seconds to clean up after yourself. 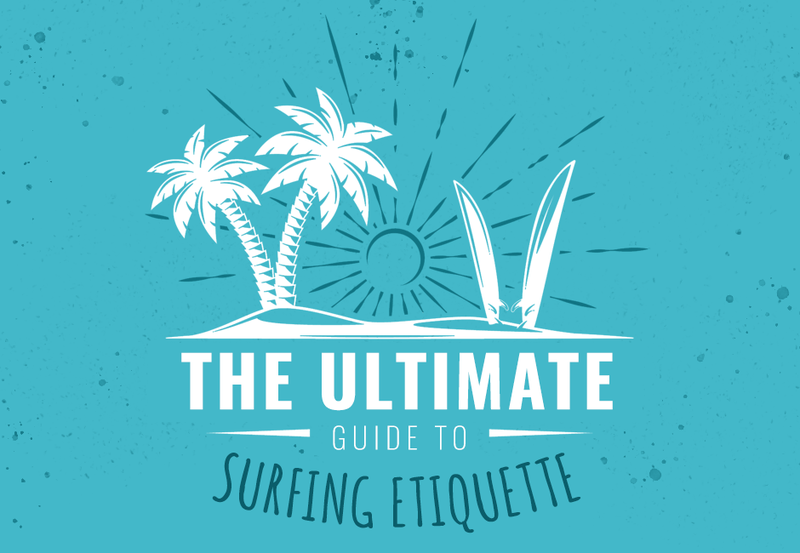 For more information about surfing etiquette, or to high quality surfboards, surf accessories or surfing books, please contact us or visit our website. This entry was posted in Whats been going on! on November 21, 2018 by Dave Stubbs.